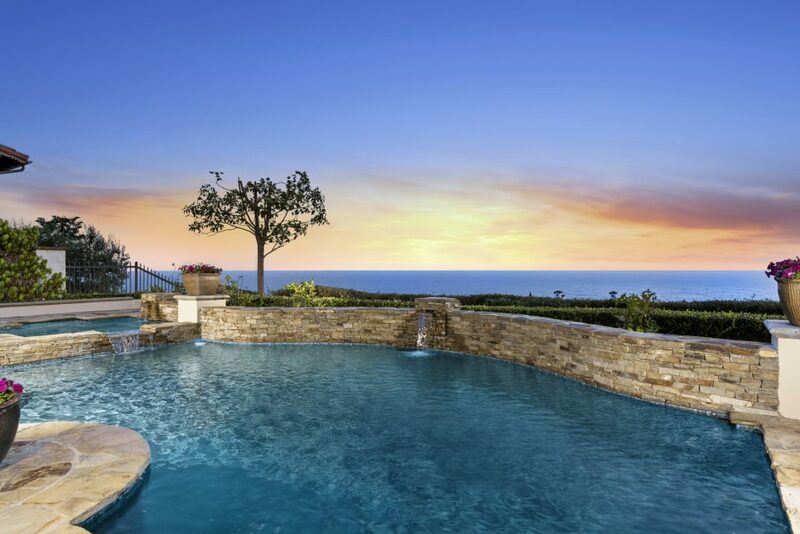 10 Cruisers Bluff – Newport Coast, CA Located on an exceptionally private, prime elevated parcel, this luxurious Santa Barbara-style home in the exclusive enclave of Crystal Cove will make an impression at every turn. 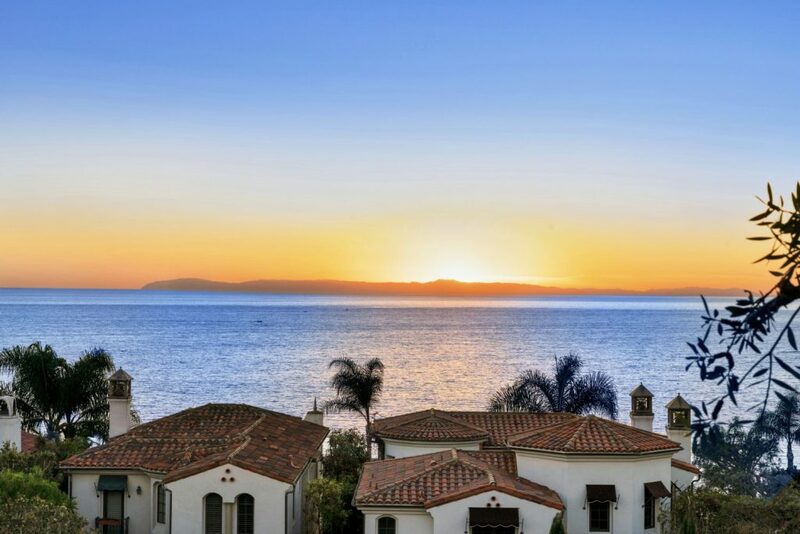 With panoramic views of Catalina Island and the blue Pacific, this home captures stunning coastal sunsets year-round. 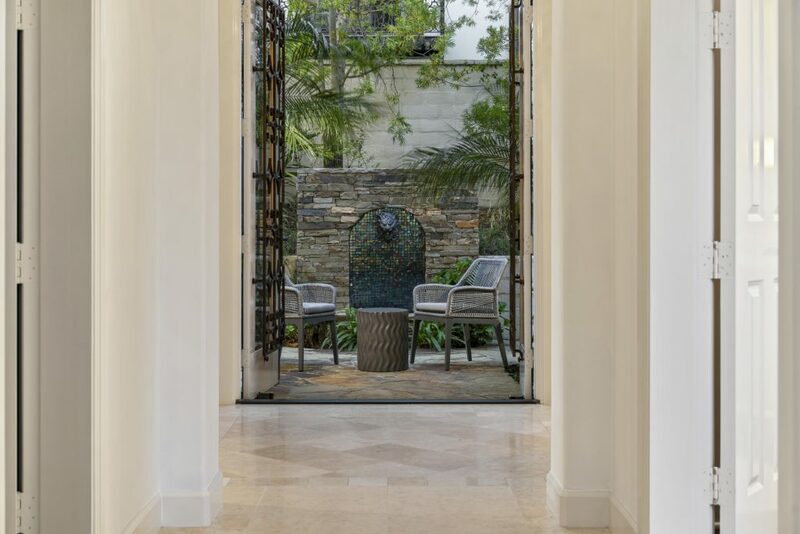 Relax and dine al fresco under the rear-yard covered loggia while enjoying the salt-water pool and spa, outdoor fireplace, built-in BBQ area with bar seating, and lush landscaping surrounding the private guest casita. 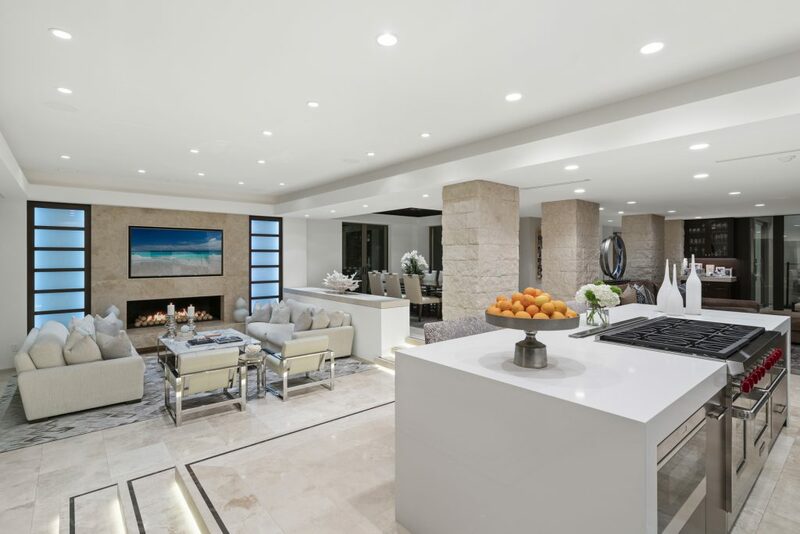 Once inside, you will encounter soaring wood- beamed ceilings, transitional interiors, Travertine marble and hardwood flooring, Chef’s kitchen with oversized prep island and sink, high-end appliances, walk-in pantry, Sub Zero refrigerator, wine chiller, ice machine and refrigerated drawers. 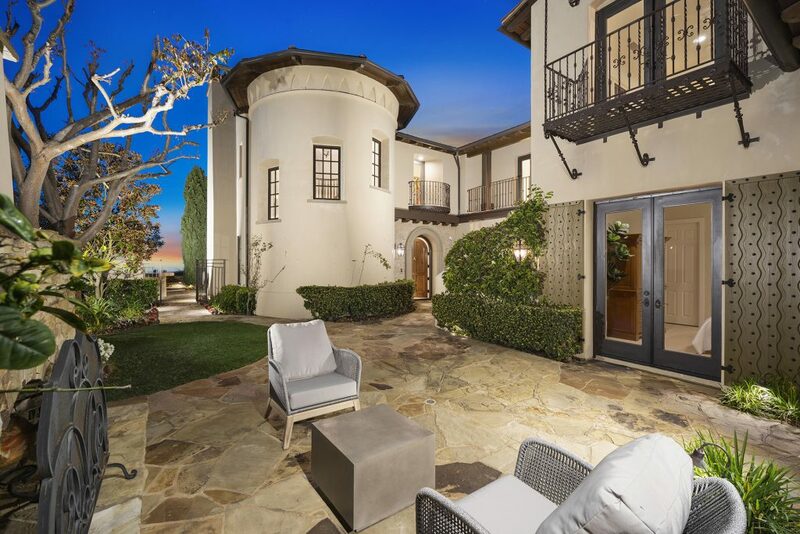 Also included in this home’s approximately 5,000 square feet of living space are five bedrooms and seven bathrooms (including the casita), built-in audio speakers, central vacuum and security system, and attached 3-car garage on a single-loaded cul-de-sac street. 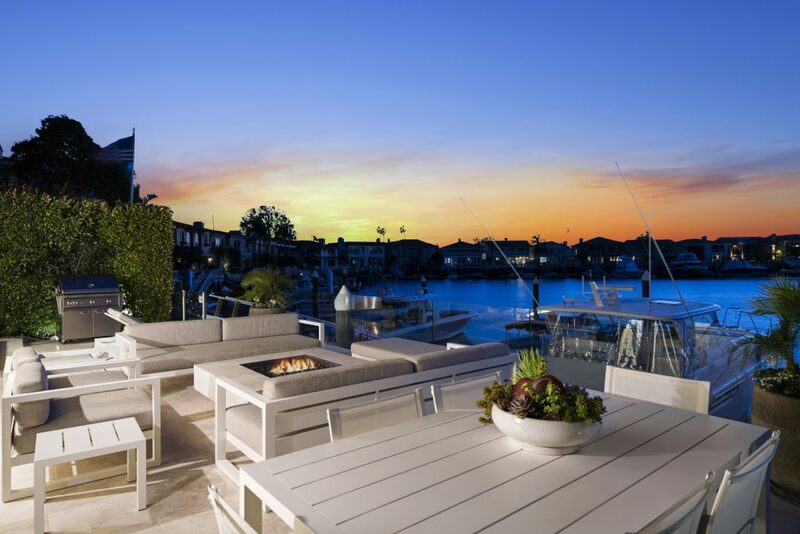 Walking distance to the Crystal Cove Promenade and its world-class shops and restaurants, with Crystal Cove State Beach a few steps beyond, this community provides a high-level of services and security for the best in sophisticated coastal living.